As time goes on and more resources and time are allocated for traumatic brain injury (TBI) research, we learn more and more about how devastating the long-term effects can be for brain injury victims. 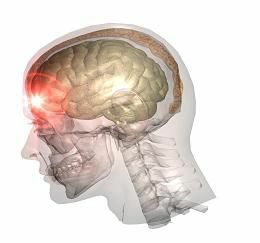 Concussions, namely, have gotten a lot of attention due to their prevalence in motor vehicle accidents and sports-related injuries. There’s no question that brain injuries are dangerous and must be properly treated in order to avoid health complications in the future. TBI’s that go untreated or are not treated appropriately can mean memory loss, irritability, headaches and even brain damage for injury victims. 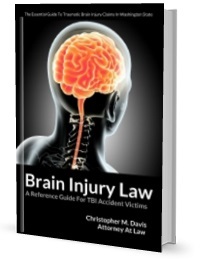 Generally, the younger a person is when they suffer a TBI the more significant the damages can be in the long run. Concussions are typically categorized as a minor TBI, which can be a misleading term. Because the injury does not require immediate medical attention such as a trip to the emergency room or surgery, it carries the stigma of a less-devastating injury. However, there is nothing ‘minor’ about a concussion. A person is diagnosed with a TBI when some form of impact or trauma causes the brain to move around inside the skull. The severity of this trauma is what determines the extent of the TBI and the injury is labeled as such. But even a minor TBI can significantly increase the risk of long-term damage if it is not treated appropriately. Today, there are a number of tests that can be used to illustrate the extent of a person’s TBI and the recovery process. In the case of athletes, these tests are used to determine if a player is capable of returning to play or if they are at risk of additional damage because the brain is still recovering. This is all in an effort to prevent a potentially deadly situation called Second Impact Syndrome (SIS). SIS refers to a person whose brain is still recovering from a concussion or other form of TBI when the brain suffers a second significant trauma. It’s a serious circumstance that can potentially lead to devastating results, including brain damage and death. Traumatic brain injuries can be utterly devastating to both victims and their loved ones, especially in accidental cases involving children. Anyone who sustains a TBI should consult with a medical professional to determine appropriate treatment options, as most TBIs are different in some way. If you suffer a TBI as a result of the negligence of another person, it is important that you immediately consult with a brain injury attorney. To have your case reviewed by an attorney for free, call the Davis Law Group P.S., today at (206) 727-4000 or contact us online.